This has been stripped down and rebuilt after each part has been cleaned and polished. The colour is a nice yellow ivory with no fading or damage. 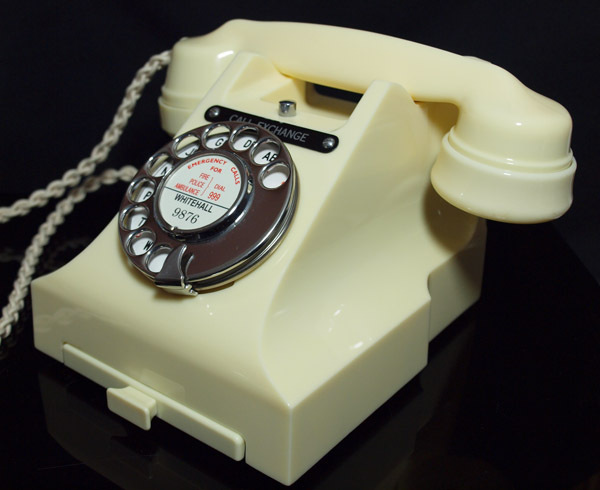 This telephone has been converted and fitted with a very best quality hand plaited braided handset cord and a best quality electronic microphone to ensure perfect working order. It has been set up to work perfectly to both receive and dial out. I have retained the original enamel faced alpha numeric dial face even though the No 7 has worn. This can be replaced for a plastic perfect example if preferred but you will need to add a note when purchasing. 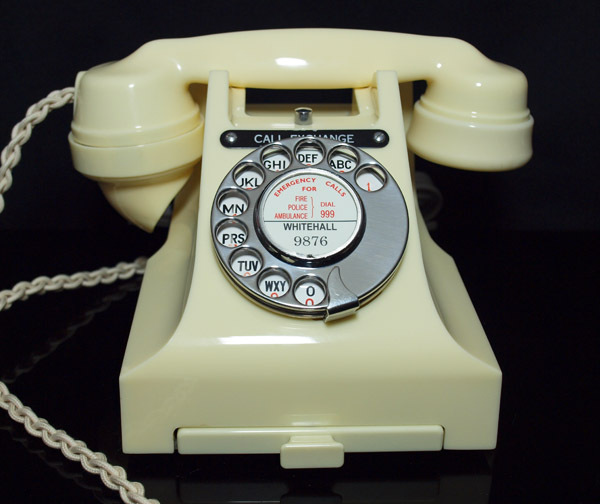 It has some very minor crazing to the left just above the drawer but you would have to look very hard and a small black dot in the plastic about the size of a pin head between the cradle under the handset rest. This would have been there from new and was not rejected by the GPO and so very minor. 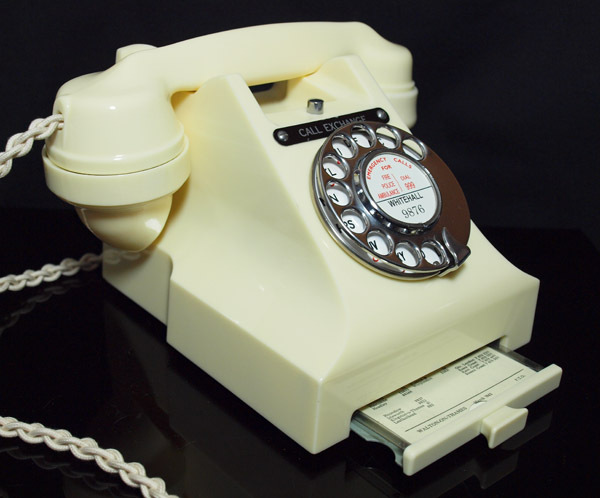 Otherwise a super telephone. 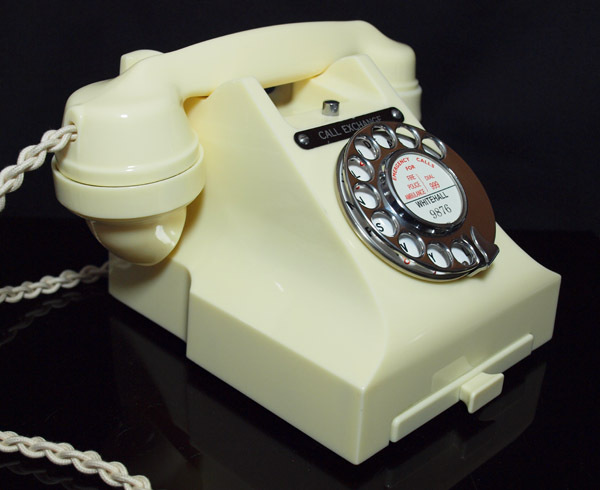 Marked 1956 on the handset and base. Usual price would be £425 but discounted due to the most minor of imperfections to £365.